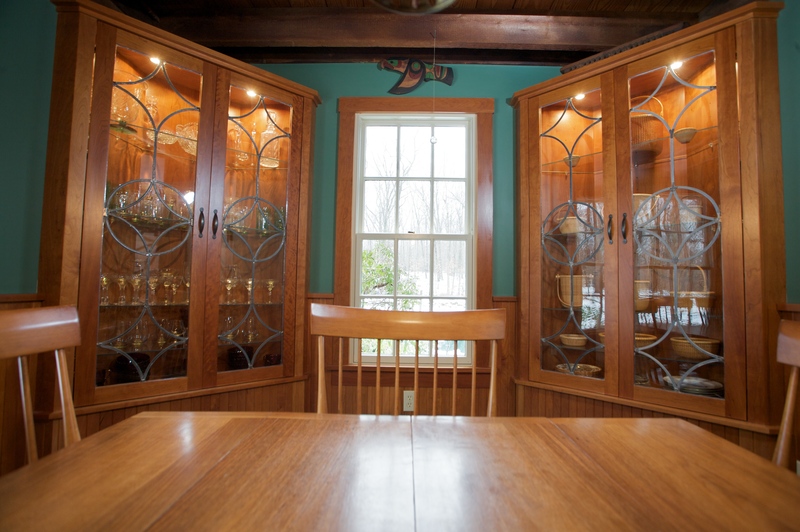 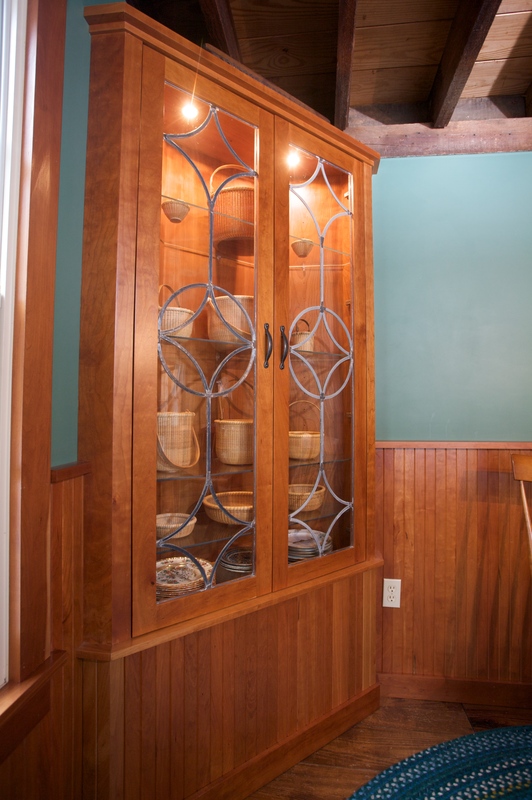 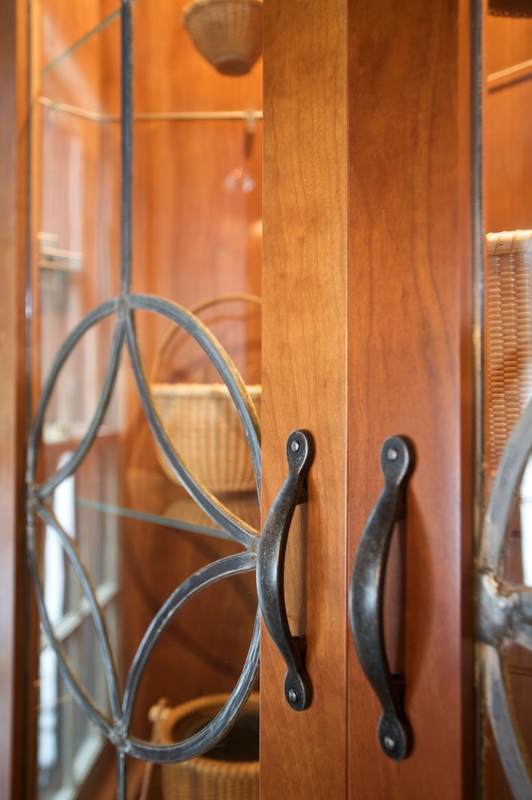 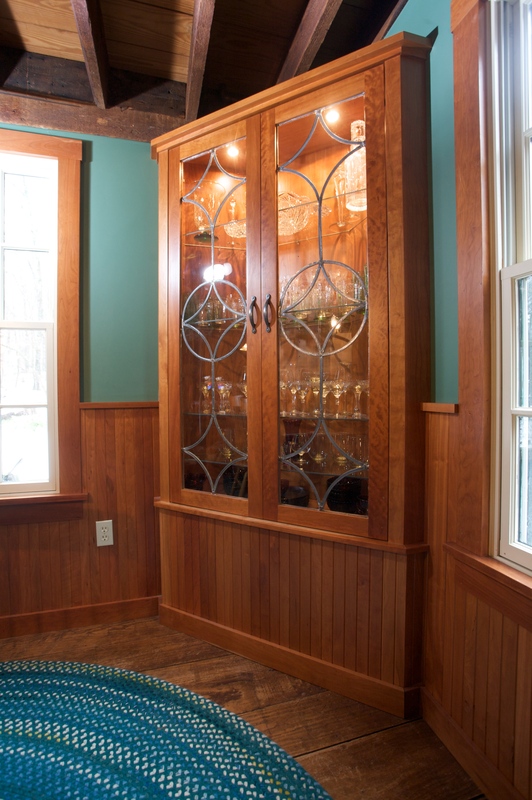 The antique leaded glass used in these dining room display cabinets came from the owner's original dining room windows. 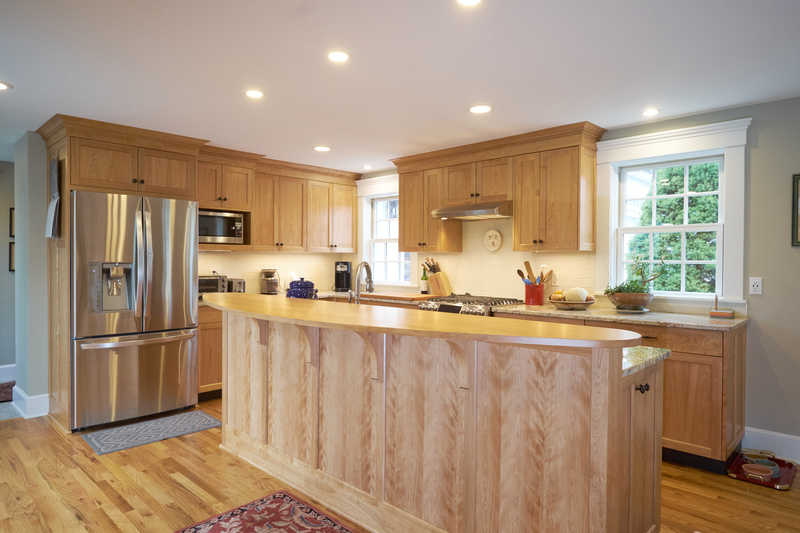 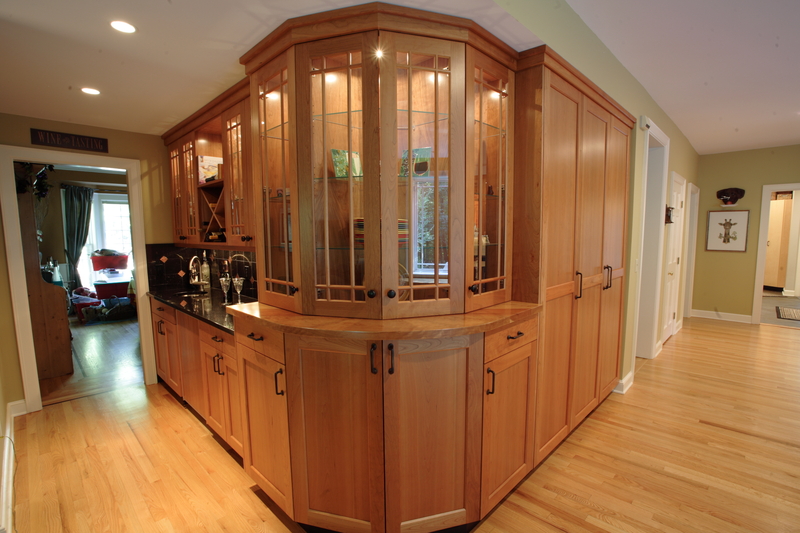 The custom cherry cabinets were made to fit the glass. 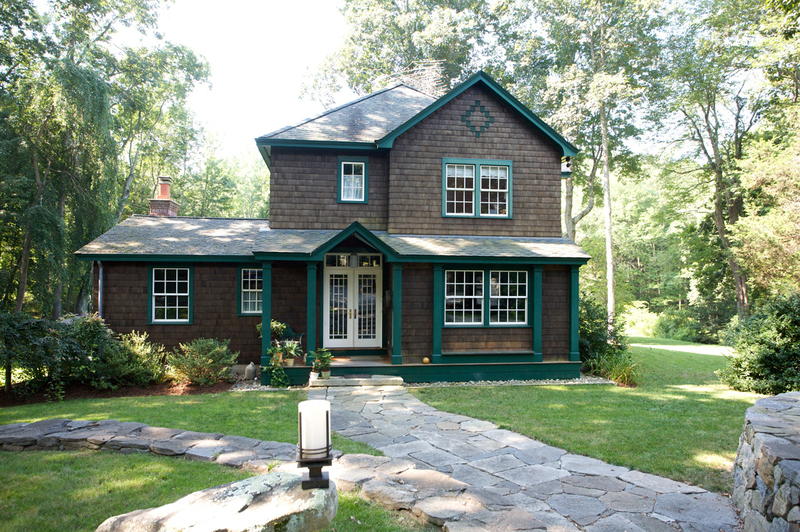 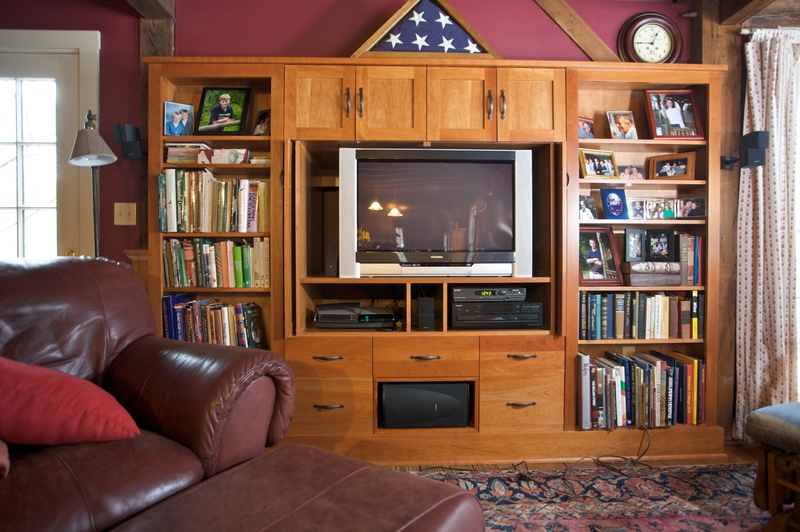 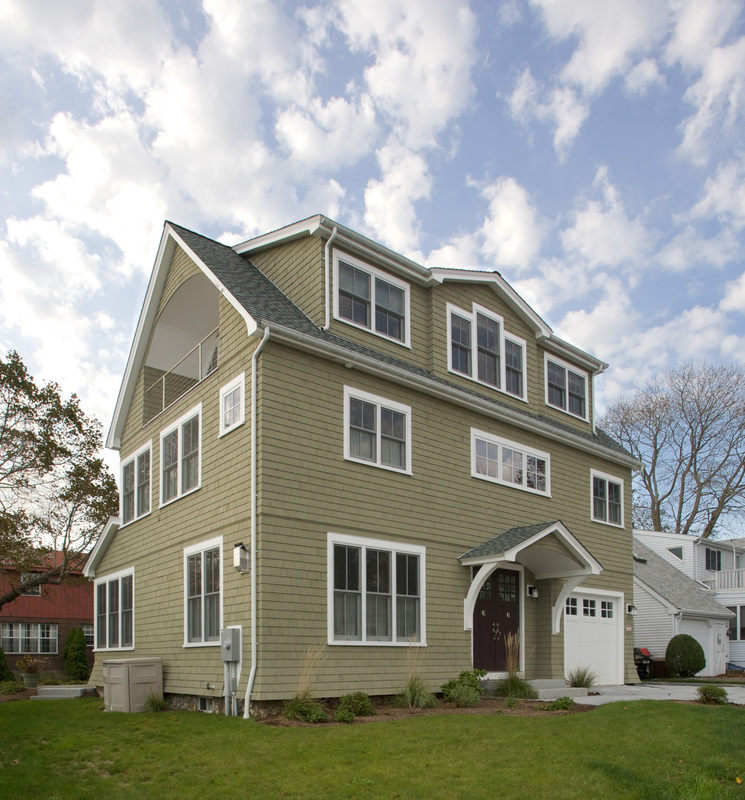 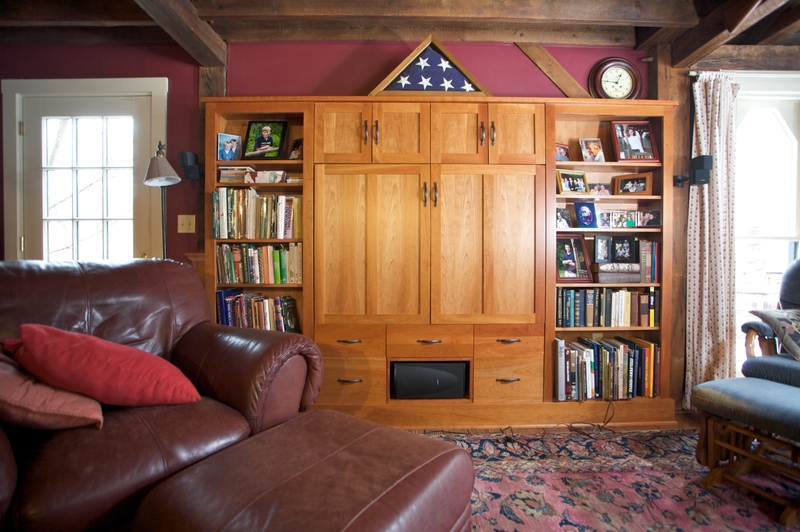 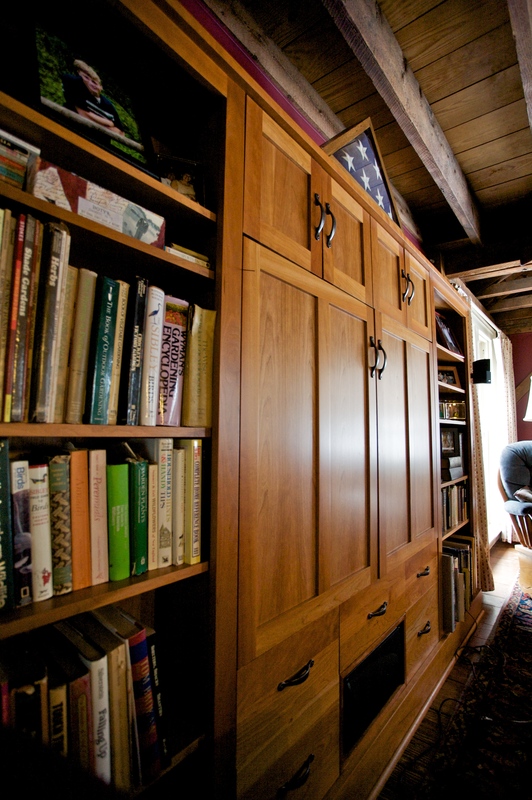 The cherry family room built-in houses a TV as well as the owner’s book collection.